Bernardo Bermudez was an appropriately hunky Stanley, with a big, burnished baritone and excellent diction…. Baritone Bernardo Bermudez is very much at home in the role of Stanley. He’s vocally strong, as well as proud, fit and comfortable in Stanley’s iconic masculinity. It’s a splendid job. Blanche, Stella and Mitch all have lyrical arias or ariettas. Only Stanley is without one. But what is an aria? It’s the verbal expression of a character’s inner feelings. Stanley, the iconic male, is not verbally articulate; he expresses himself not with words but with his body, his muscle, his hands. So, alas, though Bernardo Bermudez deserves one, Stanley should really not have an aria. Bernardo Bermudez and Katherine Giaquinto share sparks of chemistry that show how Stanley’s primordial impulses brings out Stella’s lusty, earthy nature. Their verbal sparring is offset by the obvious sexual delight in each other, which makes Stanley’s brutish assaults on her all the more shocking. Both performers bring convincing acting and singing to their roles. Bernardo Bermudez as Stanley Kowalski and Anthony Wright Webb as “Mitch” Mitchell were likewise well-matched. Both men resonated with warmth and vigor, exuding a rugged yet vulnerable rawness that just might have pleased Tennessee Williams. Hello everyone, we need your help!!! San Diego Opera, a company that I have had the pleasure of working with for the last seven seasons will be shutting down after our last production this season. 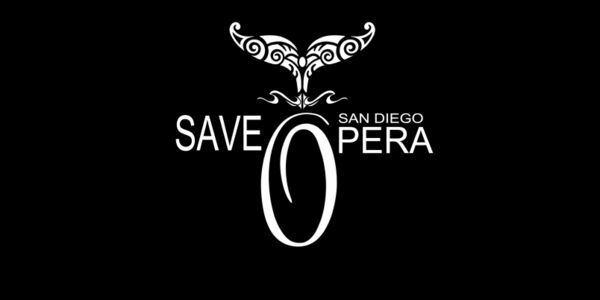 We strongly feel that the closure of this 49 year institution will be devastating to the Opera and Arts community everywhere, but specially San Diego and Southern California. Not to mention that over 400 jobs will be lost, not counting the surrounding businesses who will be affected by the loss of this institution. 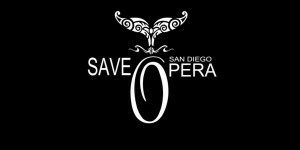 I ask you to please “like” Save San Diego Opera page in facebook and also sign our petition http://www.thepetitionsite.com/827/516/648/save-san-diego-opera/ this only takes a few seconds out of your schedule to do.